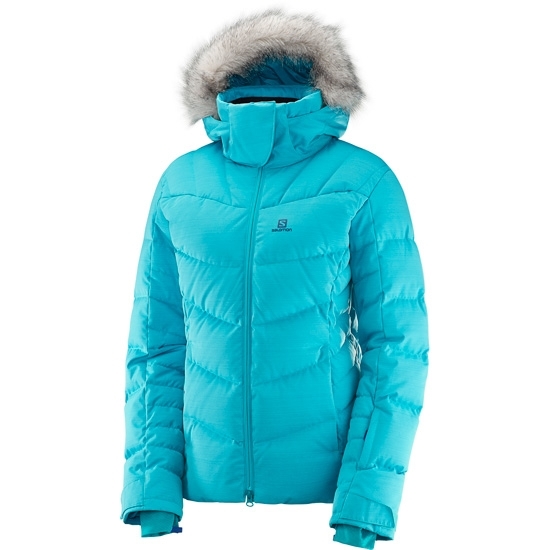 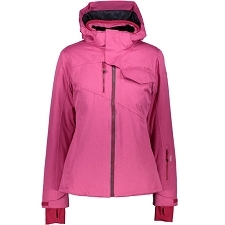 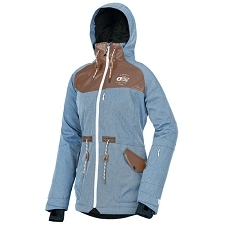 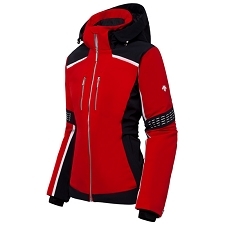 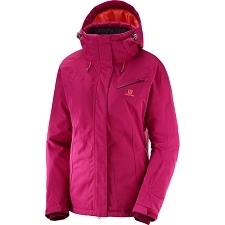 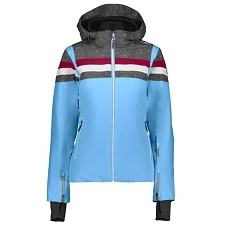 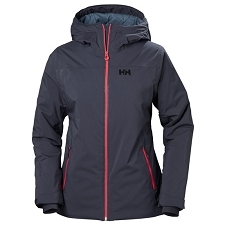 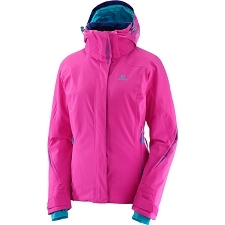 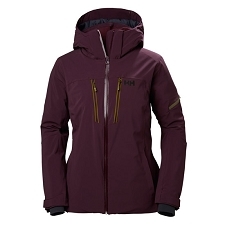 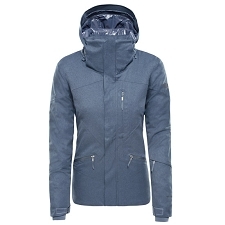 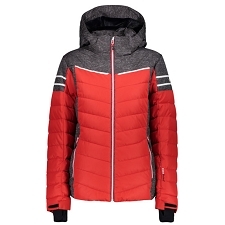 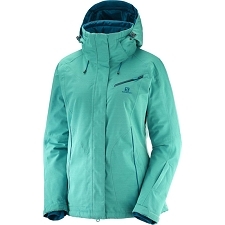 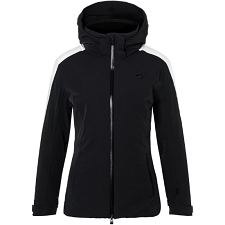 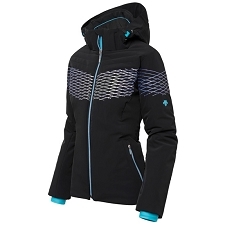 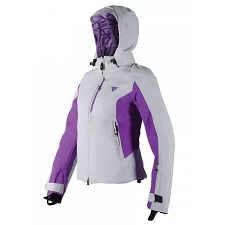 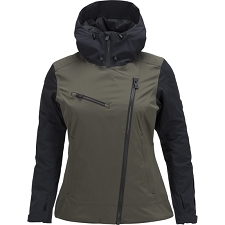 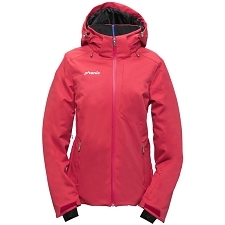 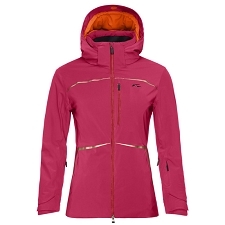 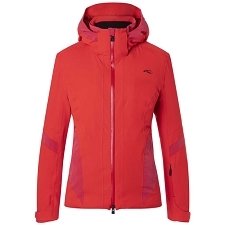 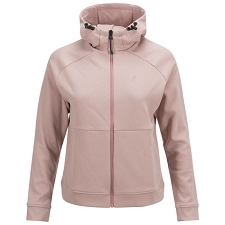 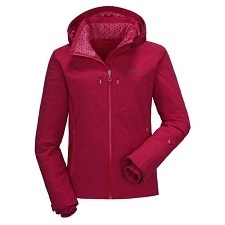 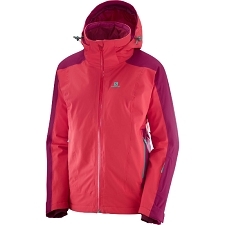 The Salomon Women&apos;s Icetown Jacket is insulated with natural down insulation and will provide you with superior warmth and protection on the slopes. 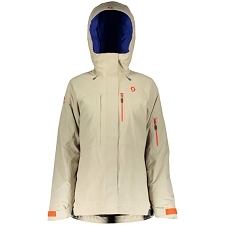 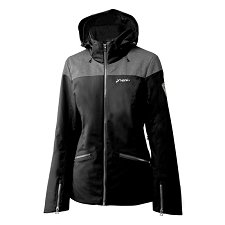 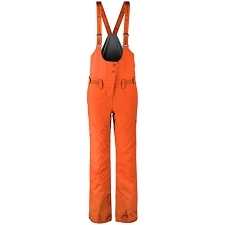 It is weatherproof and designed to move with you when you ski. 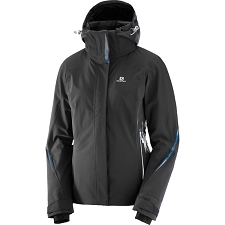 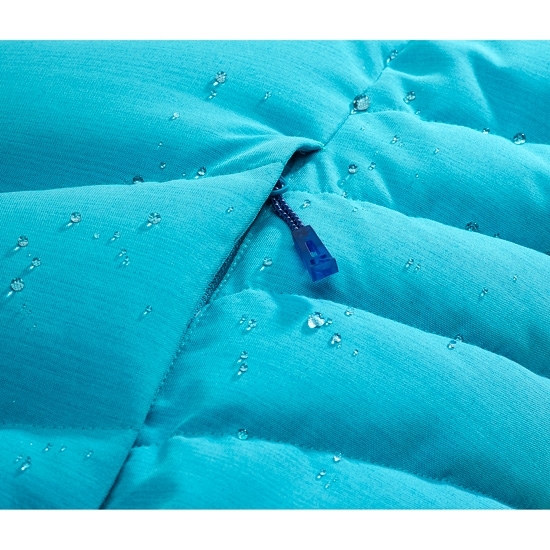 The Air vent system with mesh lining ensures that you stay comfortable throughout your day on the mountain. 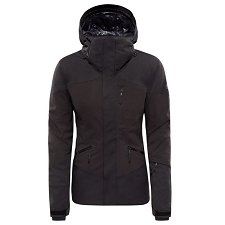 The articulated sleeves ensure that you have maximum freedom of movement while still being protected. 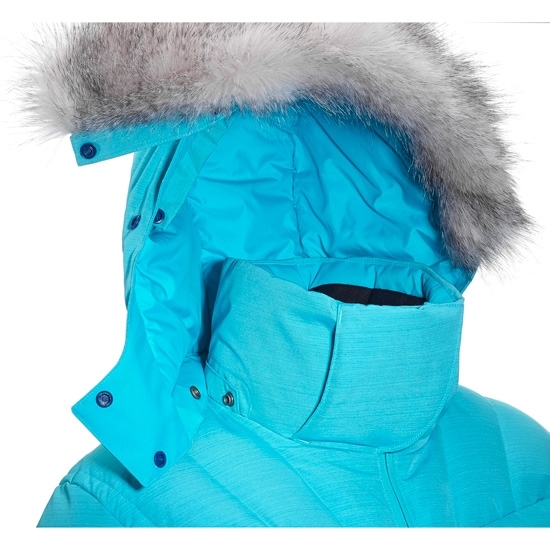 The faux fur−lined collar and larger baffles on the front make it look as great on the slopes, as it does on the city streets. 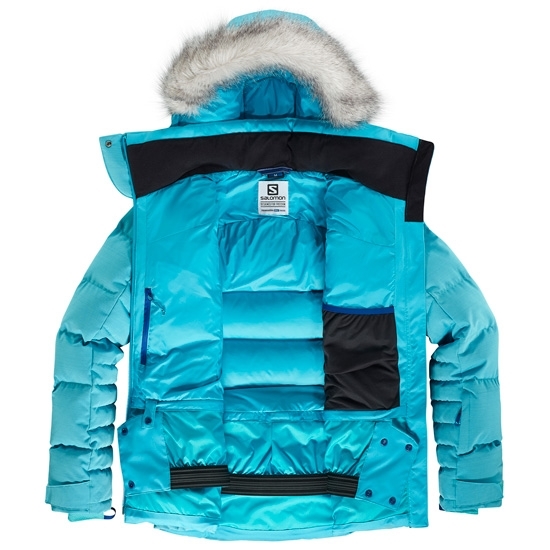 Customer Opinions "Icetown Jacket W"